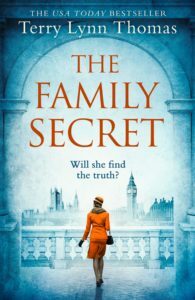 The Family Secret by Terry Lynn Thomas is a fabulous historical thriller set in 1940. It is a time of suspicion and mistrust, of spies and agents, of greed and power. The backdrop to the action is Cumbria. The peaceful village location contrasts with the thrilling action. When money and power dominate, people are corrupted. “Never underestimate the corruptive power of money.” Pound signs mean little else can be seen. People will do just about anything to achieve their monetary goal. Teens on the brink of adulthood feature. It is a tense time as young girls try to break into the grown up world. 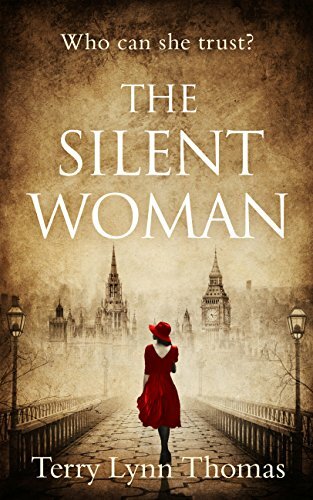 The Silent Woman by Terry Lynn Thomas is a marvellous historical suspense that had me engrossed from the start. Opening in 1930’s Nazi Germany with Hitler in power, ordinary lives are beginning to be affected. Anti Semitism is rising. Opposition is squashed. “If he could carry on as usual, he could convince himself that things were just as they used to be.” No one should have ignored the actions of Hitler. Action moves to London. The reader is treated to espionage, murder, spies and double dealings. There is the theme of trust. So much is going on that the reader wonders who can be trusted and who is doing the dodgy dealings? We need to be aware of the phrase ‘loose lips sink ships.’ Suspicion lurks around every corner.